It is the mid-1990's. 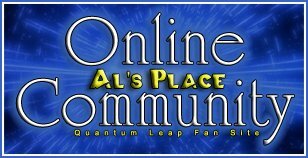 Sam Beckett, a brilliant scientist, is the creator of the Quantum Leap project - the possibility of moving back and forth through the years of your own lifetime. But one night his project goes terribly wrong, and Sam is transported back to 1956 by mistake. When he wakes up, he is suffering from amnesia, in the body of test pilot Captain Hank Stratton - which is a problem, as he doesn't know how to fly! When the project's computer hits on the theory that God, or Time, or Something, was waiting for Sam's Quantum Leap to correct a mistake in Stratton's life. Sam must find out what the mistake was, and put things right. Only then will he be able to return to the future.